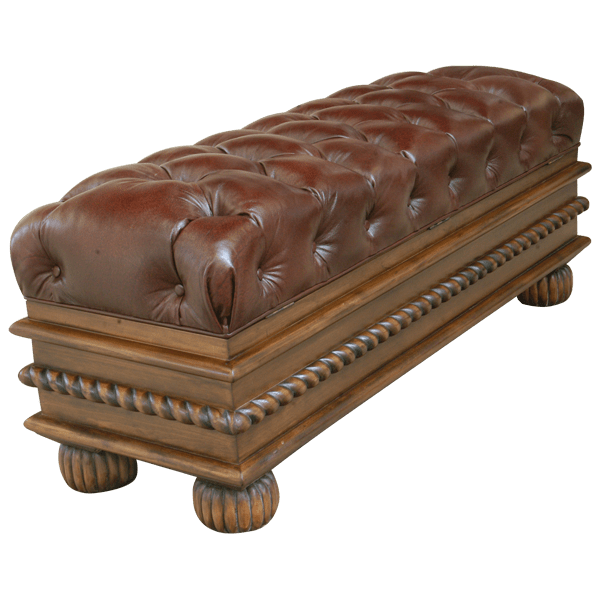 The leather upholstery adorning this magnificent, handcrafted, Western style bench blends perfectly with its lovely, antique finish. 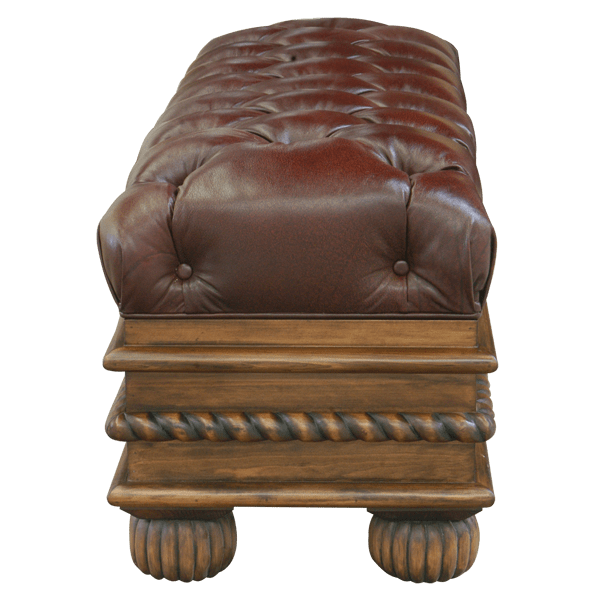 The seat is well padded for comfort, and it is upholstered with opulent, brown, full grain leather. The leather upholstery is adorned with an exquisite, button tuft design. The hinged seat can be raised to reveal an inside trunk for practical storage. Below the seat is a rounded, straight molding, and this molding design is repeated on the lower base of the bench. 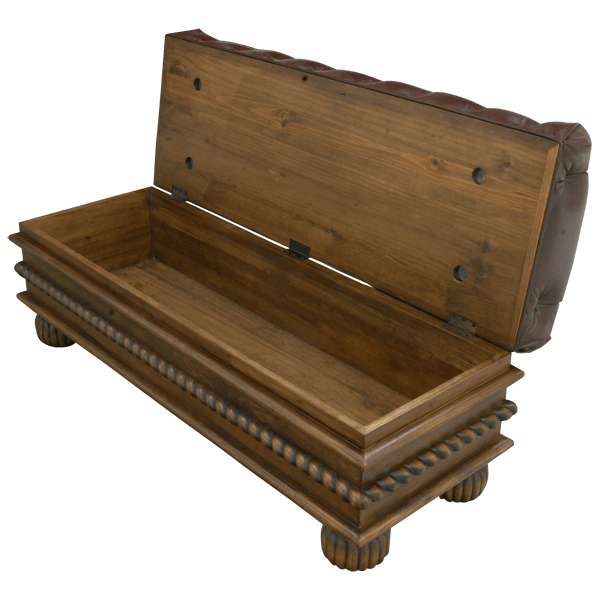 The two, molding designs are separated by a graceful, hand carved, twist rope design, and all three molding designs continue through each side of the bench. 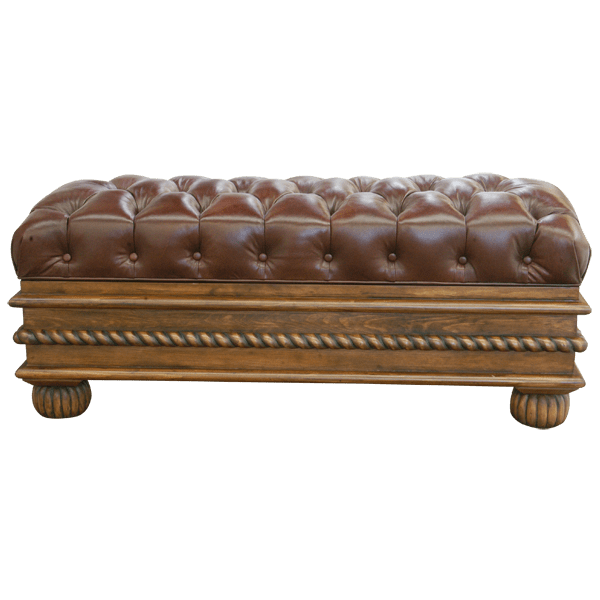 The bench is supported by hand turned, bun style feet, and the feet have vertical, hand carved, fluted details. The bench is designed without a back, and it is made with the best, sustainable, solid wood available. It is 100% customizable.